Yes, this really is my third Halloween homeware haul! I popped to Tesco for some food shopping and couldn't resist a cheeky look in the Halloween section, and of course some thing maybe accidentally fell into my trolley and ended up coming home with me. Oops. So nothing I bought from Tesco is actually listed on their website, even though their Halloween section is enormous! First thing that caught my eye was this ice cube tray of brains. It's just the sort of ridiculous thing I'd use all year round. I love ice and am always making trays of it, and these are really sturdy too, so you could easily use the moulds to make chocolate or jelly. 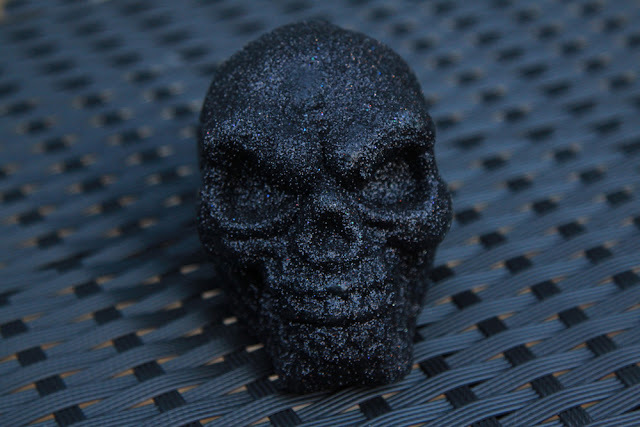 You know I couldn't resist a glittery skull right? It's only cheap polystyrene covered in glitter, but it's fun enough. I snagged two of these, they were about a quid each. 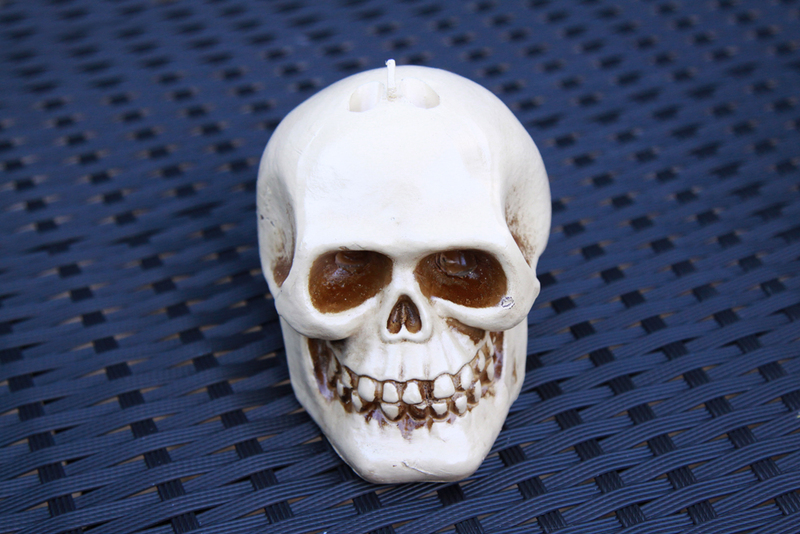 Probably my favourite thing that I picked up was this skull candle. 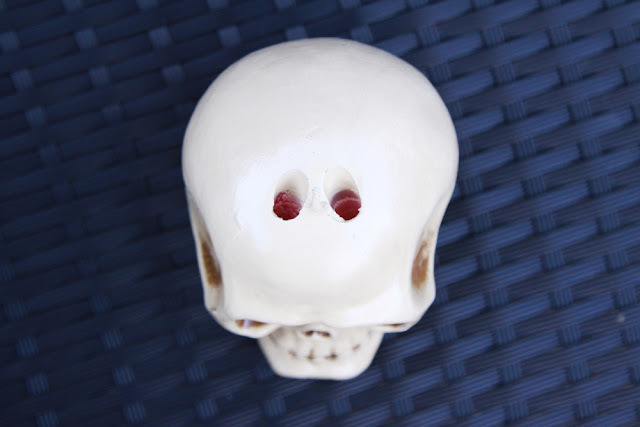 The holes in the top show the red on the inside, as it burns it looks like it's bleeding, which is pretty cool! It was a couple of quid again, so cheap and fun. I don't really burn candles in the house (3 cats and candles is just asking for a problem or an injury), but I might have to carefully guard this one because it burns in such a cool way. The last thing I picked out was a set of 6 plastic tumblers in 3 patterns. 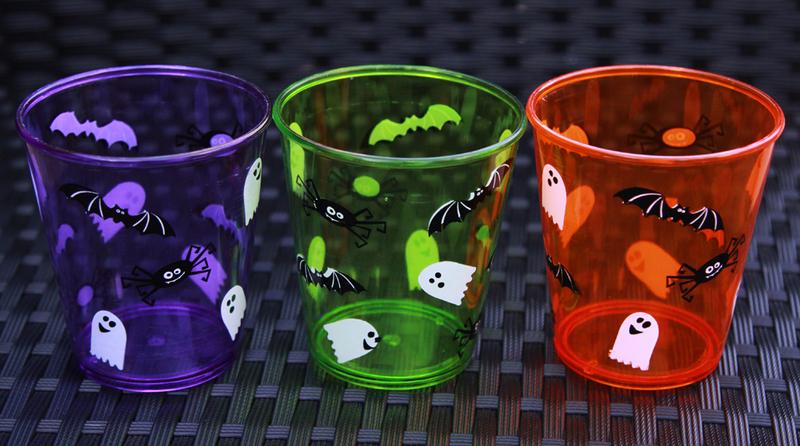 They are great for kids if you are a bit 'spookier' on the daily, but I also tend to prefer plastic cups when we have BBQ parties. Drunk friends and glass are not a good combo, so I make them all use plastic... I know, I'm mean! But I like my glasses intact, and these were too cute to resist. Look at their little faces! I'm sure I'll probably end up picking a few more pieces before Halloween. I love the colourful plastic tumblers. They are so cute. Wow!! I have been everywhere for Halloween supplies bar Tesco! I need to go there. Those skull candles are amazing!! 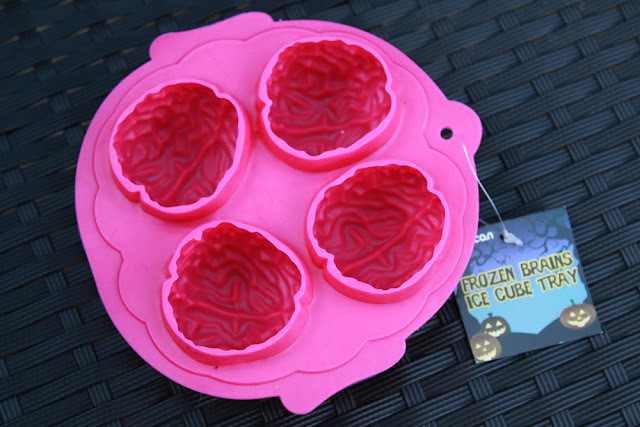 I also want the brain ice cube tray! I could use it as a jelly mould too!